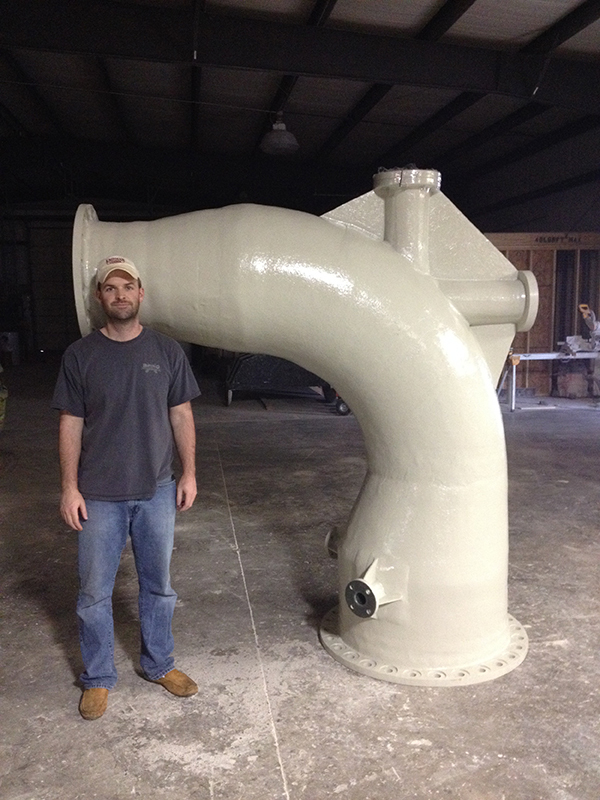 Grace Composites was founded in 1998 to provide custom fiberglass pipe and fittings to the industrial and corrosive markets. The company has grown to over 50 employees now serving a broad range of FRP products and applications. We are a custom job shop that can engineer our products to meet your exact service application, however we also offer several established product lines. Our company has built itself on solving difficult problems efficiently with a level of customer service that is unmatched. Contact us! We want to hear from you and work with you to solve your next problem. We are owner, operators. Our management team sells the product but we are also completely involved in building the product. You will often see our management team building parts and directing traffic on the shop floor. Our people have always been our greatest asset. Most of our employees have been with the company since its inception. With over 150 years combined experience in shop management and engineering, it is easy to see the value Grace Composites can offer on your next project.